Our Essential Adventures courses are a fantastic mix of skills coaching in a relaxed and informal atmosphere. With a focus on fun and adventure, we’ll ensure that you develop skills, confidence and independence in dynamic water. based on your experience and motivations. Making the most of the wonderful North Wales paddling environment, we’ll guide you to fantastic coaching venues where you can make the most of your paddling potential. 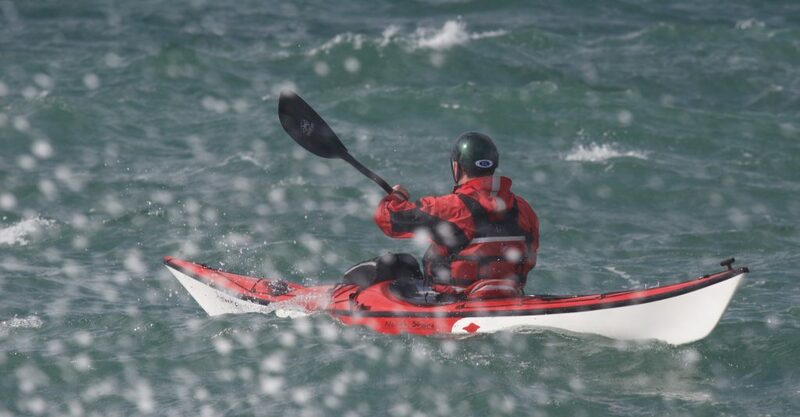 Ideal for sea kayaker developing confidence in moderately challenging water. We’ll introduce tide race paddling skills in Anglesey’s excellent playgrounds. Building on dynamic water skills, and seeking out the best Anglesey conditions, we’ll develop tide race, surf zone and rock garden skills. Justifiably popular, this Essential adventure is a must for confident sea kayakers! Forget skills training for a while – enjoy a guided adventure among iconic north Wales sea kayak classics. and Bardsey Island. With 360° of coastline, we’re never stuck for paddling adventures! White water paddling is fantastic fun and a great way to enhance your sea kayaking skills. A mix of class II-III river paddling and tidal rapids, with a focus on short kayak WW skills, transfer your sea kayaking experience into a new environment. Maximum adventure and maximum fun! We’re heading back to a favourite playground, the tidal adventure playground of the Oban area – among the fast-flowing waters of the Slate Isles, including Grey Dogs, Cuan Sound and the Falls of Lora. 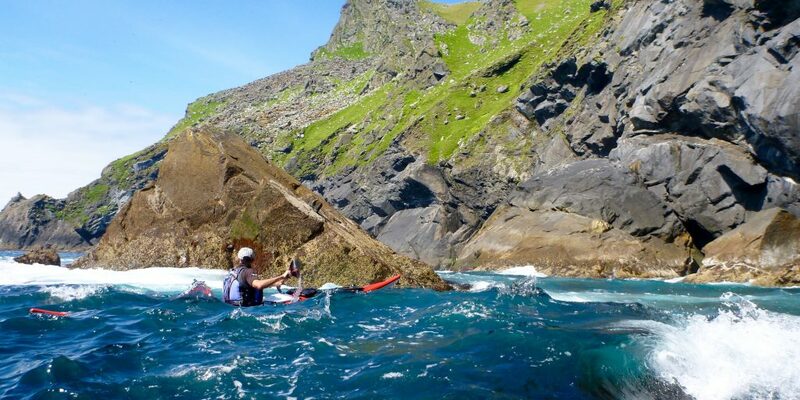 This adventure week seeks out fun and challenging sea kayaking adventures in this inspiring part of the world.